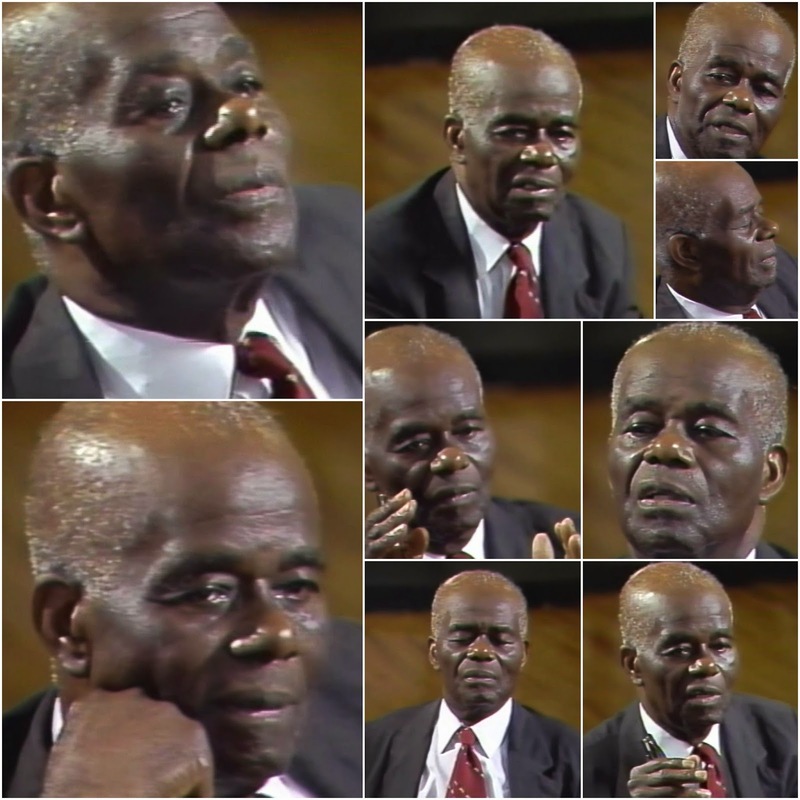 Dr. John Henrik Clarke was renowned for his dedication to the study of African peoples throughout history, both in Africa and the diaspora. Dr. Clarke was also widely regarded as a devoted and brilliant educator. His love for education, African peoples and the history of African peoples, translated directly into his work as a Pan-Africanist writer, historian and lecturer. He played a pivotal role in the creation of Africana studies and several professional institutions in academia. Interestingly enough, Dr. Clarke climbed to great academic heights without ever having earned a high school diploma. Born on January 1, 1915, in Union Springs, Alabama, John Henry Clark was the youngest child of John and Willie Ella Clark, sharecroppers. The Clark family eventually moved to Columbus, Georgia, in pursuit of better fortunes and the dream of owning their own land. Dr. Clarke, the future educator, never formally attended high school, dropping out of school in the 8th grade. Despite his mother’s desire that he pursue the family vocation of farming, in 1933, at the age of 18, he left the South as part of the Great Migration of blacks to the North, and headed to Harlem, New York. Dr. Clarke flourished in the fertile intellectual and cultural climate of the Harlem Renaissance. He joined study circles such as the Harlem History Club and the Harlem Writers' Workshop. In the Harlem History Club, he met John G. Jackson, Willis N. Higgins, and Arthur A. Schomburg, who became mentors in his self-taught study of African history. Through his association with members of the Harlem History Club as well as Richard B. Moore, J.A. Rogers, William Leo Hansberry and Josef ben Jochannan, Dr. Clarke learned much about black history. He immersed himself in the tradition that researched, wrote, and taught black history away from the formal institutions of higher learning. During the Black Power movement in the 1960s, Dr. Clarke championed the redefinition of Africans in world history and the study of the African-American experience. In 1968, along with the Black Caucus of the African Studies Association, Dr. Clarke founded the African Heritage Studies Association, and was its first president. In 1969 he was appointed as the founding chairman of the Black and Puerto Rican Studies Department at Hunter College in New York City. He was also a founding member of the Black Academy of Arts and Letters and the African-American Scholars' Council. Dr. Clarke also played an important role in the early history of Cornell University's Africana Studies & Research Center. He was the Carter G. Woodson Distinguished Visiting Professor of African History at the Center in the 1970s, and made an invaluable contribution to the establishment of its curricula. In 1985, the Faculty of the Africana Studies and Research Center at Cornell University named the John Henrik Clarke Library after him. In keeping with his singular educational path and impressive teaching history, Dr. Clarke was the author of numerous articles that have appeared in leading scholarly journals. He also served as the author, contributor, or editor of 24 books, including collections of his own short stories. At the age of 78, John Henrik Clarke earned a doctorate from the non-accredited Pacific Western University, since renamed California Miramar University, in Los Angeles. It is easy to understand why Dr. Clarke is widely recognized as a pioneer in the field of Africana Studies. He challenged the views of academic historians and helped transform the way African history was studied and taught. He was an academic pioneer and an outspoken champion of the accurate re-telling of the history of African people. John Henrik Clarke died on July 16, 1998. He is buried in Green Acres Cemetery, Columbus, Georgia.